In the early 90’s, when internet was introduced no one ever imagined that it would become a robust medium of advertising. Initially, it was meant to exchange digital information and emails but not as a way to reach potential customers. Till 1994, spending on internet marketing was almost negligible but by the year 2005, it reached over $300 million. And, Forrester Research after a decade shows around $200 billion expenses that cannot be rated less than a revolution. Today, the scenario is that there is hardly a business without online presence. Organic SEO: Search engine optimization (SEO) is defined as the process that plays a vital role to improvise the visibility of the web page or website in top search engines. Online marketing can only be considered complete with SEO as it is an organic method that targets multiple searches options like video, news, image, etc. Social Media Marketing (SMM): It helps through well-known online platforms including LinkedIn, Facebook and Twitter. This is proving to be highly useful as numbers of people are using social networking sites and it is easy for you to make your business noticeable and get social traffic. Email Marketing: This method is considered tricky one. In order to do it efficiently, it is good to select an online email provider, creation and segmentation of lists, make a branded email template as well as test your emails. Lead Generation: What if there is no one to receive your emails? For this, lead generation is the best tool as it creates generation of consumer who are interested in the offered products and services. Conversion Rate Optimization (CRO): With this tool, your conversion is ensured. It means to say that people are clicking on ads but it is not turning into sale. So, it checks the actual sales you made. Analytics: If you are running an online business then it is also important to remain updated about how much traffic you are gaining or losing at regular intervals. Analytics assists you to follow this with the precise details of total traffic. Content Marketing: It would be wrong to state it as the ruler of the internet marketing. This tool offers you robust corporate boom with writing, blogging, etc. Paid Search Marketing (Pay-Per-click or PPC): This is fastest way to avail instant traffic to the website. It provides the best results with a Google AdWords account, making one landing page per ad group and taking assistance from PPC expert. 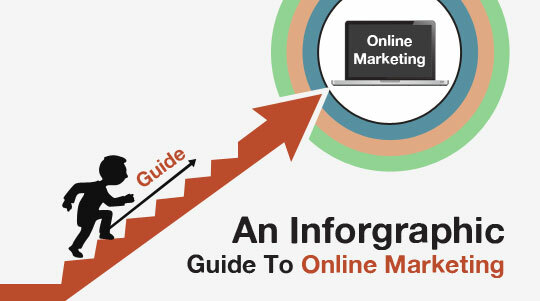 Undoubtedly, online marketing has seen different evolution’s since the year 2000. But, you must not stay relaxed thinking that the task of research and development is over. Trends, taste and preferences of customers is changing at rapid pace and the things which remained customer’s favorite might not be as much demanded in the next year. It is the responsibility of the marketing experts and Dedicated Search Engine Expert that they should cope with the recent trends and use the present tools the most proficiently and remain updated with the new tactics and technology. Posted By: CSSCHOPPER Team- Hire SEO Expert from #1 Affordable SEO Services provider .